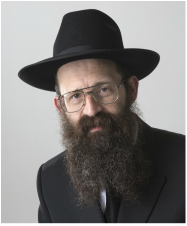 ​Rabbi Moishe Raitman is a much sought after Shadchan, Coach/Mentor, Speaker and Lecturer. Through comprehensive conversation and interviews, Rabbi Raitman has counseled and mentored 100’s of single, young adults, divorcees, middle age adults and parents helping them in the shidduch process and to overcome any frustrations, dating fears and challenges in finding their bashert. Rabbi Raitman has facilitated many shidduchim in the capacity of Shadchan for individuals worldwide. Rabbi Raitman also conducts lectures and workshops. He distributes a very insightful and popular Tip of the Week via email which can be subscribed to on his website www.shadchancoach.com. Slots will fill up quickly!! Attendance is FREE! Email us for International Conference Call Numbers outside the U.S.
​January 29th: What Do Singles Want? Preference will be given to those who pre-register. A Guten Shabbos to all! The next meeting of the Jerusalem Shidduch Group will take place, b'ez"H Wednesday March 9, 2016, the first night of Rosh Chodesh Adar Bet, @ 7:30pm at the home of our gracious hostess Shimonit Vanderveen, Rechov HaLamed Hei 7, apartment #2, Katamon. Our last meting was well attended by an amazing group of ladies and generated a very powerful energy - let's keep it going and bring many Simchas into Adar Bet. We've collected more names of singles to daven for - we'll read them aloud, answer "Amen" to each one and drink a l'Chaim to their imminent shidduch! We'll give tzedakah in their merit and we'll continue to learn from the Rebbe's directives for shidduchim, and hopefully hear a speaker too. Please bring resumes of singles so we can begin to network and make it happen! Hoping to see everyone again - please bring your friends. The Mazal is in the Group!! Feel free to share with anyone else who would be interested in attending. From our first meeting we've already gathered a list of over 50 singles to daven for - please submit any other names you have so I can add them to the list. We'll read out all the names, drink a l'Chaim to their shidduch and answer Amen to each one. We'll also allot some time to present some resumes. Please bring one with you if you would like to present it to the group. Together we'll learn the teachings of the Lubavitcher Rebbe on shidduchim, to bring down the special Mazal that comes when a group gets together to daven for each other. 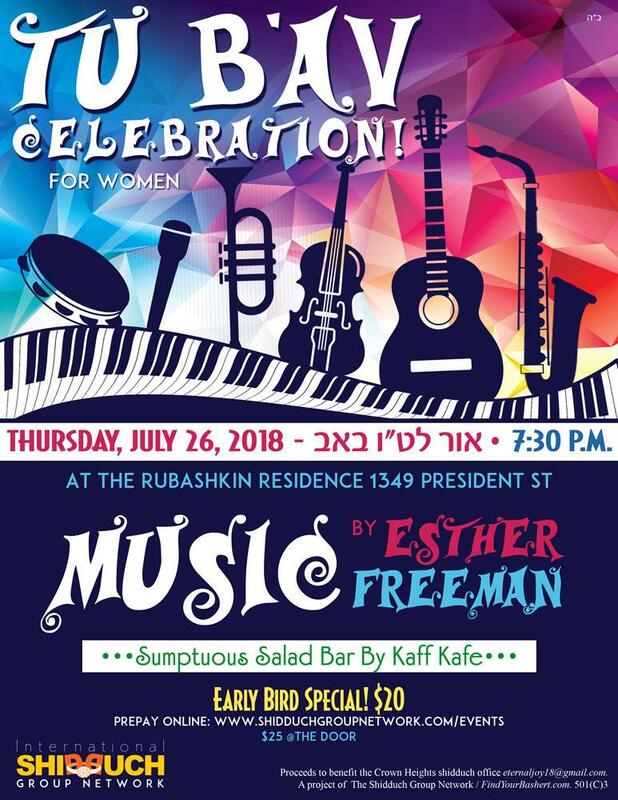 Please bring along names and mothers' names of singles looking for their bashert - we'll read each one out loud and answer Amen, we'll give tzedakah and we'll drink a l'Chaim to their imminent shidduch!! Featuring Dr. Elka Pinson on "Bringing the Past and Future Together"
​Dial into the teleconference from ANYWHERE! Attendance is FREE! Limited opportunities to present profiles, offered on a first-come-first served basis. Taking place at the home of Sara-Ester Varnai. 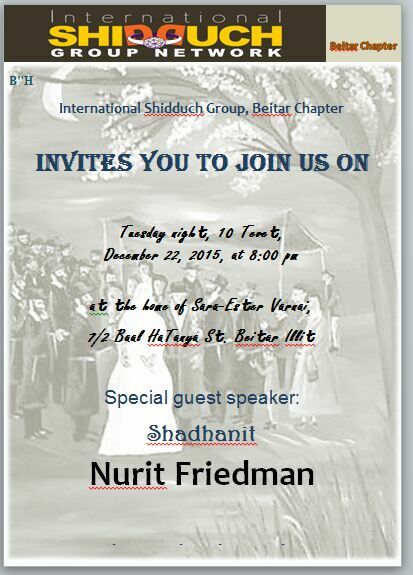 Special guest speaker: shadchanit Nurit Friedman! 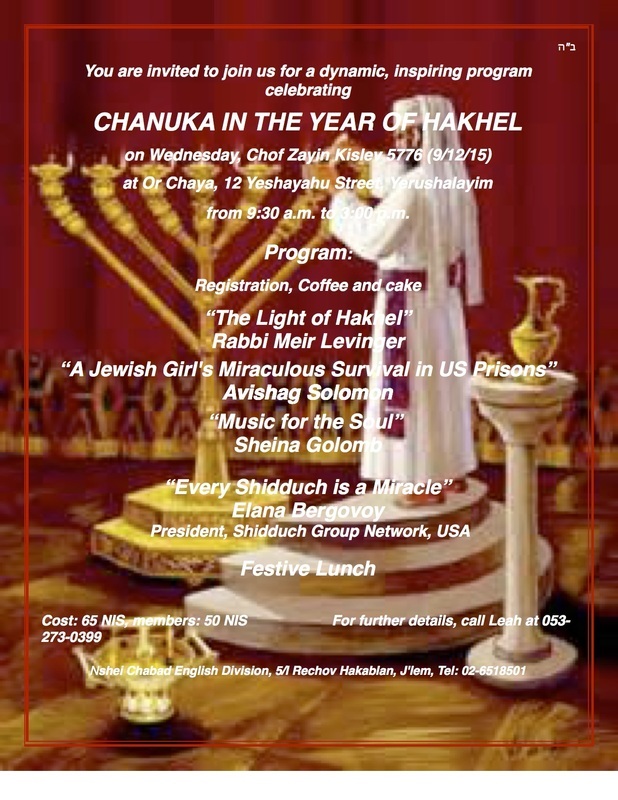 Taking place at Ohr Chaya 12 Yeshyahu St.
A full day of speakers with musical entertainment and food! 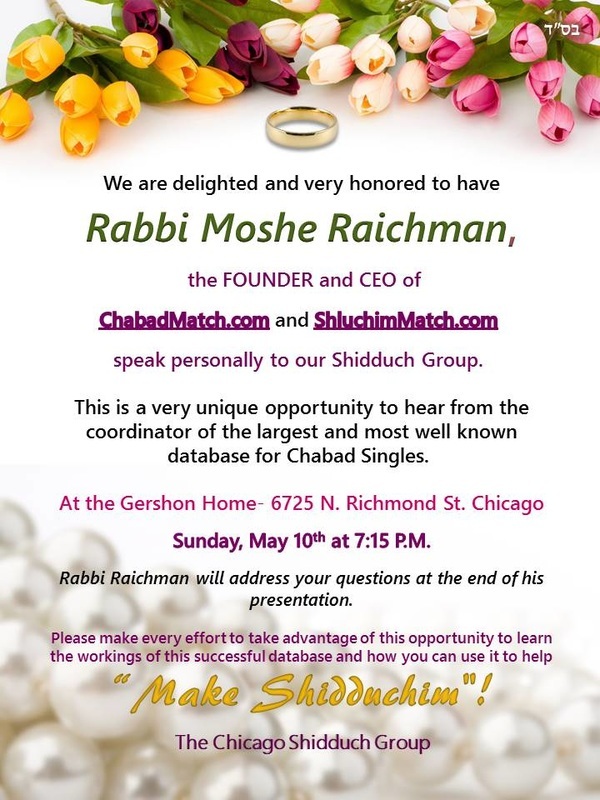 A mini seminar from Rebbetzin Toby Lieder, Shadchan coach, titled "What Do Singles Want?" Dial into the teleconference from ANYWHERE! Attendance is FREE! Click here to see our write up on www.collive.com! 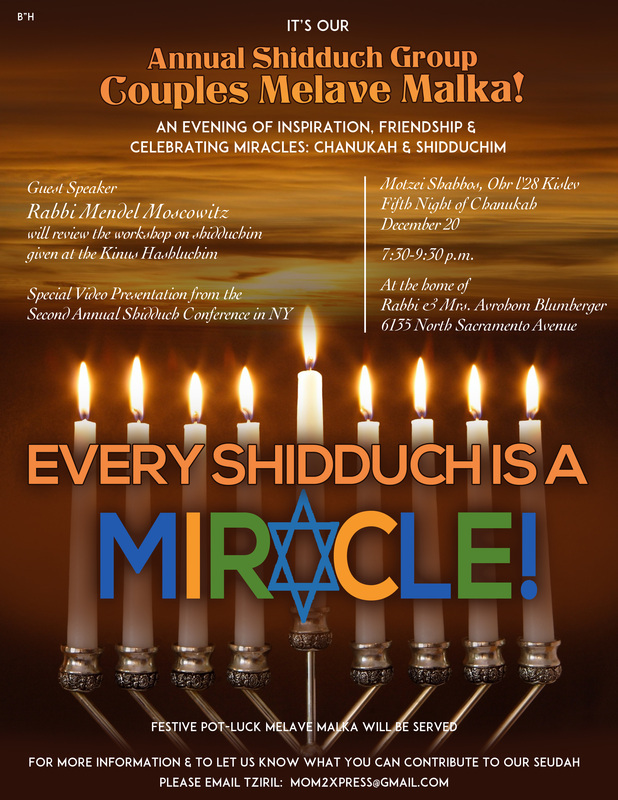 Register now to attend the Miami Mega event for Singles, "Tu B'Av Mixer"! 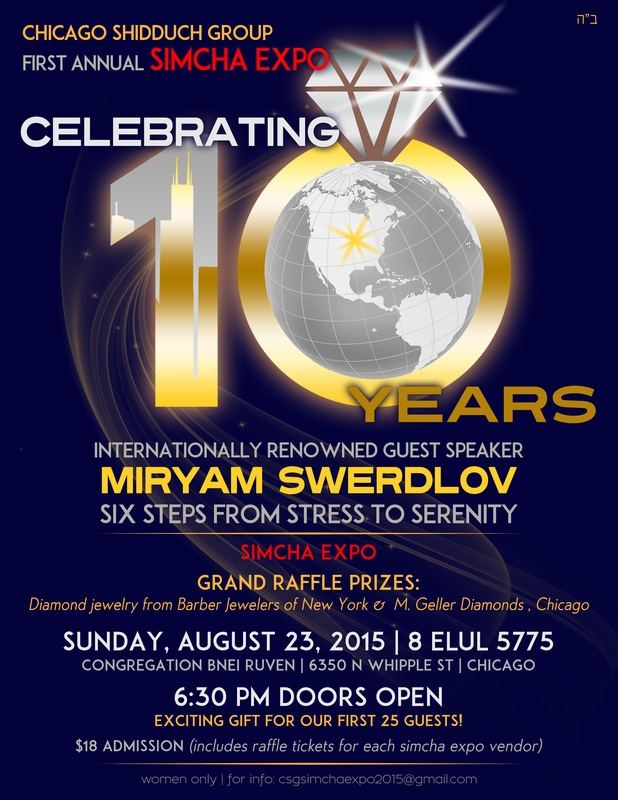 June 15, 2015 (28 Sivan): Rabbi Mendy Bergovoy, "Become Your Own Shadchan: 5 Easy Steps to Find Your Bashert" International Shidduch Group Teleconference! Rabbi Mendel Bergovoy received his Smicha from Central Yeshivah Tomchei Timimim Lubavitch in Crown Heights and studied business at McGill University in Montreal, Canada. He currently advises companies large and small as well as non-profits around the country. He has a passion for collaboration and networking and is the founder of the JBE, a company which runs large Expos and seminars in Canada and the US. Rabbi Mendel and his wife have made multiple shidduchim together and have helped fund multiple weddings. He currently Lives in Sunny Isles Beach, Florida, with his wife, Leah, and children. Rabbi Bergovoy will speak from 9 to 9:30. Speed profiling ALL MALE PROFILES from 9:30 to 10:15. Profile presentation is FREE. Limited opportunities to present profiles will be offered on a first-come-first served basis. Slots will fill up quickly!! Shavuos is the day that we celebrate the Wedding of the Jewish People with Hashem, and it's only appropriate that we use this Ais Ratzon to gather together to celebrate the impending marriage of our children. 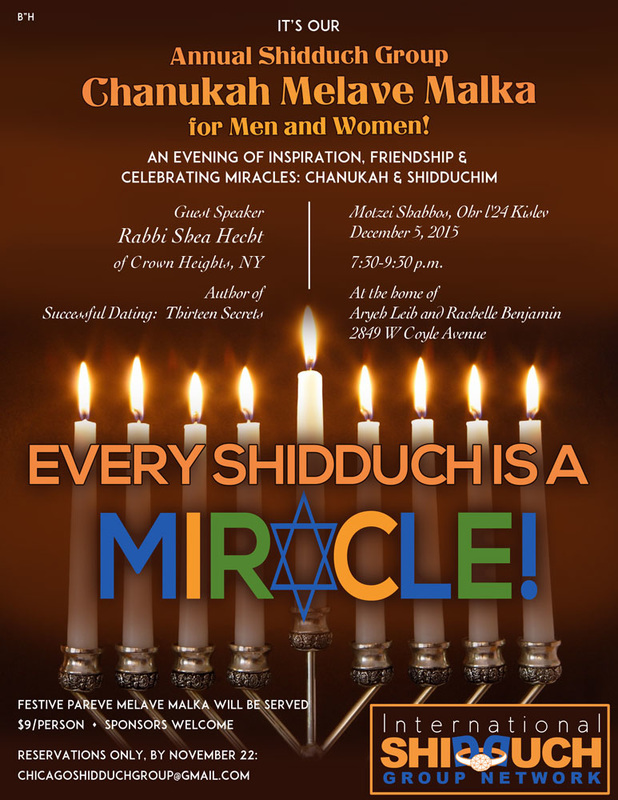 So, everyone is invited to come and bless each other and dance in honor of the shidduchim of our children! May 3, 2015 (14 Iyar): Teleconference, "The Connection Between Pesach Sheni and Shidduchim"
Rabbi L.Y. Raskin, Dayan of the Lubavitch community in London, will give a mini seminar from 4 to 4:30 PM titled "The Connection Between Pesach Sheni and Shidduchim." Speed profiling will take place from 4:30 to 5:15. Profile presentation is FREE. Limited opportunities to present profiles will be offered on a first-come-first served basis. Slots will fill up quickly!! Born in London in 5721/'60, Dayan L.Y. Raskin received his schooling at the local Lubavitch school. 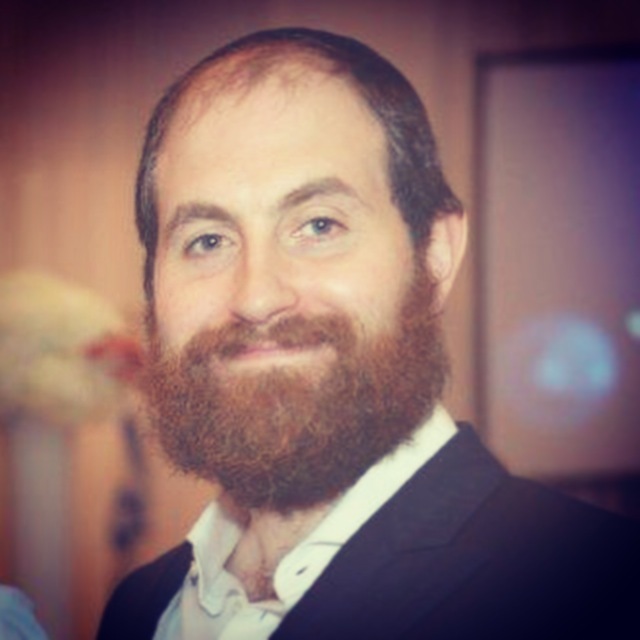 He learned for three years in France at Yeshiva and for one year in Kfar Chabad, followed by two years of Shlichus to Melbourne. He then studied for Semicha in 770, at which time he married Bassie Sudak of London. After two years in Kollel in Crown Heights, he moved back to London in the summer of 5744/'84. In the summer 5751/'91, he was appointed as Dayan to the Lubavitch community in North London. In 5764/'04, he published (under Kehos) Sidur Rabenu HaZaken in Tziyuim Mekoros veHeoros. In 5769 & 5772, Dayan Raskin published Nesivim BiSdeh HaShlichus Vols. 1 & 2, respectively. These books include material presented at numerous Halacha sessions at the annual International Kinus HaShluchim, and elsewhere. He was also a reviewer for Shulchan Aruch Admur HaZaken in the English translation, and of Shulchan Menachem in Hebrew. Most recently he compiled a digest of Minhagei Chabad as commentary to the Kitzur Shulchan Aruch (forthcoming from Kehos). April 26, 2015 (7 Iyar): Teleconference, "Halachic Issues in Shidduchim"
Rabbi Yosef Y. Shusterman received smicha and dayanus from Lubavitcher Yeshiva in New York. 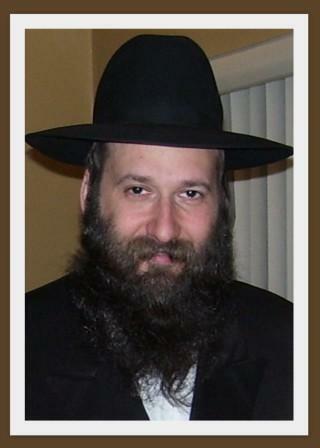 He is the Director of Chabad of North Beverly Hills as well as the Rav of the Chabad community in Los Angeles. He receives questions about halacha from across the country. He serves as a member of the Vaad Rabbonim Lubavitch and sits on the Bais Din. 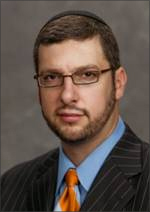 Rabbi Shusterman is recognized worldwide for his knowledge of complex Jewish law. Because of his wisdom, understanding and knowledge of Chassidus, he is sought after as a speaker and counselor on an international level. 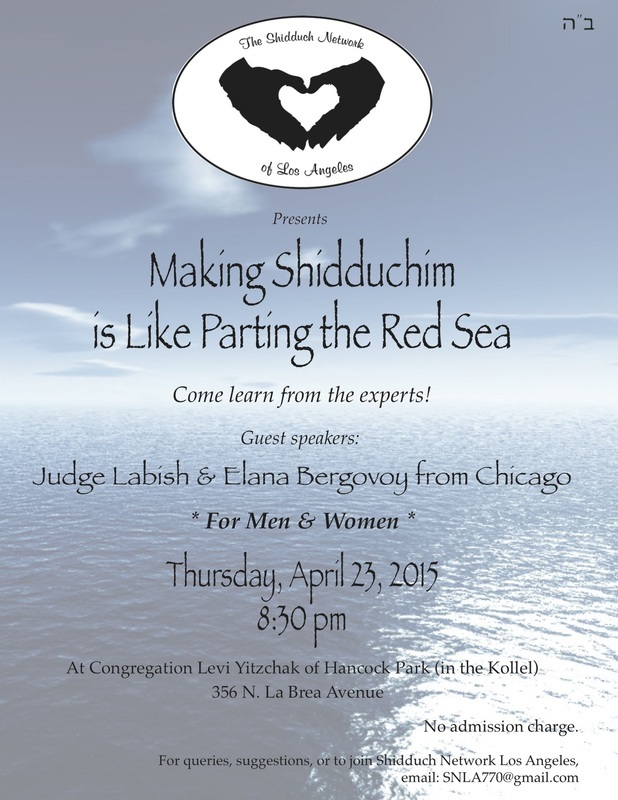 April 23, 2015: Los Angeles Event, "Like Parting the Red Sea"
March 22 (2 Nissan): Teleconference, "Take the Stress Out of Shidduchim"
Dr. Gill Heart discusses creating a completely different mindset toward shidduchim. Dr. Heart trains corporate America executives to respond differently to stress triggers. The Mind In Control training is based on the training of a Special Forces operative for an undercover, deep behind enemy lines operation. Please join us in an evening of sharing profiles. Please bring profiles to share with others. Profiles that you have received for your children that didn't work. Hosted by Mrs. Fayge Rapp and Mrs. Rivky Wolf at the home of Mrs. Chana Kupfer. Please join our Rosh Chodesh Shevat (new moon) Sunday Shidduch Shiur / Brunch: Come, receive your weekly dose of vitamin A, B, & E - Achdus (unity), Bitochin (trust) and Emunah (faith)! Learn practical advice on how to manage shidduchim (dating) and Network Network Network. 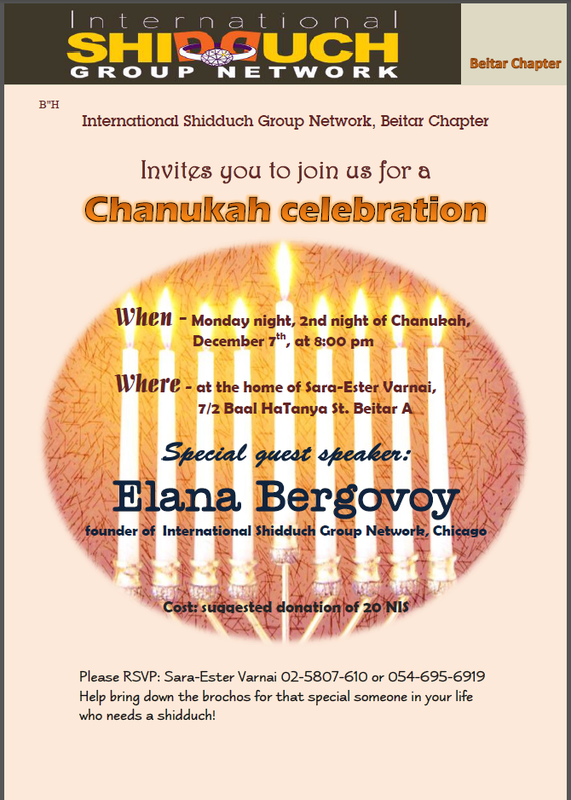 January 11 (20 Tevet): First Boston Women’s Chapter Meeting! 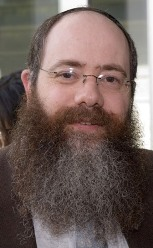 Rabbi Shmuel Lew is the senior Chabad emissary to London, England. Rabbi Lew spent many years with the Lubavitcher Rebbe and was present at many of the Chassidic gatherings during this time. Rabbi Lew and his family had a very close relationship with the Rebbitzen during her years in Crown Heights, Brooklyn. This was a friendship enjoyed by very few people. 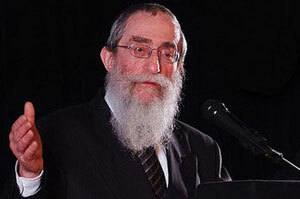 Rabbi Shmuel Lew now lectures to Jewish communities worldwide. A Freilichen Chanuka to all! "Never before have shadchanim, coaches, trainers, singles and parents been brought together in one place at one time to network, learn and make shidduchim,” says Elana Bergovoy, President of the Shidduch Group Network. Participants made new and valuable contacts and had the opportunity to meet many shadchanim in person at the Networking Lunch and Leaders’ Dinner."